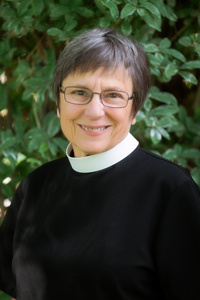 Felicia was ordained in the Episcopal Church in the summer of 2002. She has a BA in Psychology from the University of Central Florida and an MDiv from Virginia Theological Seminary. She never saw herself as a “church planter” but she and a launch team of around 14 people “planted” St. Brigit in 2009. (She is very thankful that God prepares the called rather than calling only those who are prepared.) Before becoming a priest Felicia worked as an administrator in a variety of non-profits. When she’s not at church you can find her gardening, entertaining others in her home or hiking across this beautiful state with her husband Lyle and dog Noah. Deacon Nancey was ordained in the Episcopal Church in June 2015 following 8 years of study. She has a BS in Education from Northeastern University, a MS in Physical Therapy from Virginia Commonwealth University and a PhD in Kinesiology from the University of Northern Colorado. She is retiring from her position as Associate Professor at the CU School of Medicine where she has taught anatomy to students (MD, PT, PA) for almost 40 years. She was a chaplain at the Hospice of St John for 10 years. She and her wife, Joan, love riding their 3-wheeled motorcycle in the mountains or anywhere else. They are parents to four children, Sadie and Gracie, miniature Schnauzers whose favorite activity is barking. 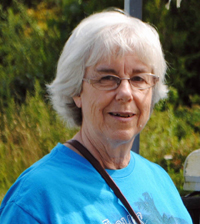 Eileen, as Parish Administrator, is responsible for oversight of St. Brigit’s building use, building and grounds maintenance in coordination with the Jr. Warden, check requests, equipment maintenance, and the hiring and managing of lay staff. She reports directly to our vicar, Felicia in this role. Before taking this position, Eileen retired from an active practice as an attorney representing the needs of children, primarily those in child protection. She has a bachelor’s degree from Colorado State University in Sociology/Anthropology and a law degree from the University of Denver. She is an expert in the field of parenting children exposed to prenatal alcohol or other drugs and still does training and consultation in that field. She was a foster parent for a number of years and has six adult children and six (soon to be seven) grandchildren. Darin has been the music director and pianist at St. Brigit since we began our weekly worship services. Darin holds piano performance degrees from UMKC and the University of Colorado and taught on the faculty at Colorado State University. 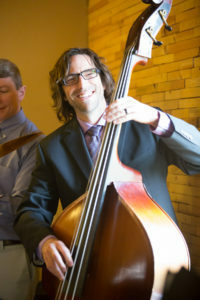 Darin has been the featured guest artist with the Middle Tennessee Symphony, Timberline Symphony, Gonzaga University Orchestra and the Loveland Chamber Orchestra playing the works of Prokofiev, Bach, Saint-Saëns, Finzi and Liszt. In addition to playing the piano for our Sunday morning worship Darin leads the St. Brigit choir as its director and directs (and sometimes writes) our annual Children’s Christmas Pageant. Darin is employed as a software engineer and you can find him during his free time enjoying cooking for others, spending time with family or picking up and learning some new and interesting instrument.